Kristin Cavallari Says Hubby Jay Cutler "Has No Game" on Very Cavallari: "I Don't Know How He Got Me"
Kristin Cavallari Says Hubby Jay Has "No Game"! 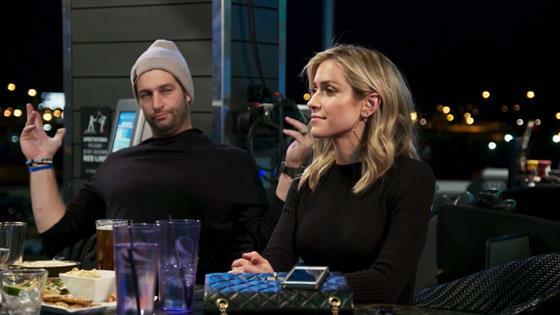 When it comes to game, Kristin Cavallari says her hubby Jay Cutler has none. In this clip from Sunday's all-new Very Cavallari, Kristin recounts the early days of her and Jay's relationship. "Jay was actually incredibly sweet. That was the man that I fell in love with, writing me love letters and love emails when I'd be in L.A. 'cause it was long distance," Kristin tells her BFF Kelly. While Jay amassed a bit of a bad boy image while in the NFL, the reality star says she's the real player. "Jay has no game. Let me just put that on record. I don't know how he got me, but he has no game," Kristin jokes. "I have much better game than Jay, trust." The Uncommon James founder goes on to poke fun at her husband, but don't fret, Jay's got jokes too! "I'd come in town, we would have so much fun together and I don't know what happened," Kristin laments. "You decided to go to bed at 8:45 every night," Jay fires back. Watch the LOL moment in the clip above. Watch a brand new episode of Very Cavallari Sunday at 10 p.m., only on E!